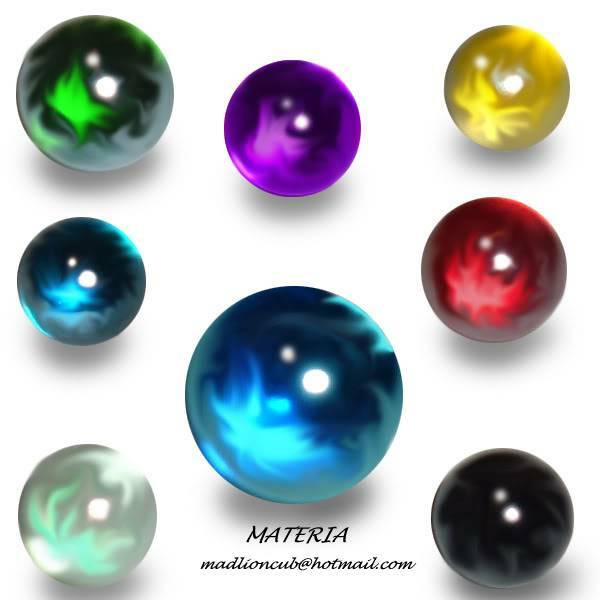 Description: Materia are small glowing orbs created from the energy of the planet itself. Each one contains a single element and three jutsu (listed below) Materia can be placed on a weapon (only one at a time) which will thus imbue the weapon with the element, adding C-ranked elemental damage. 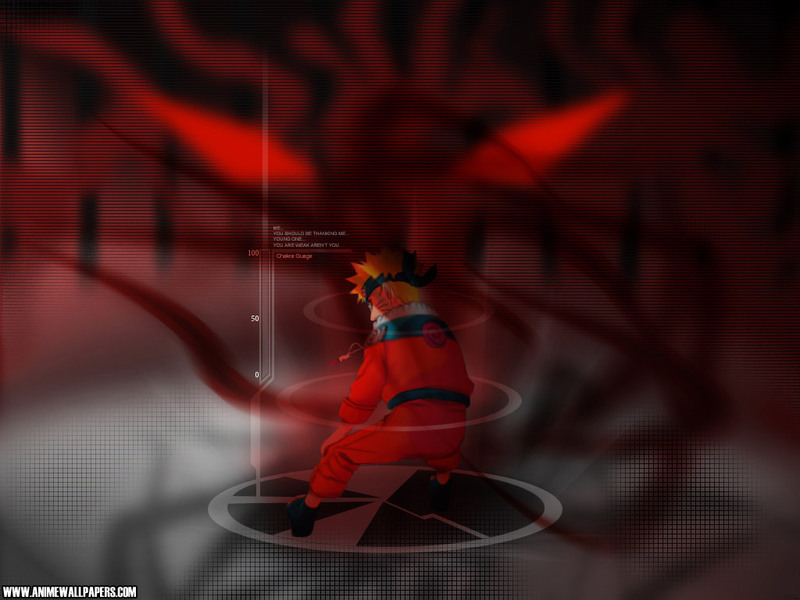 These jutsu do not require Ninjutsu as a style to use, as they are used from an item rather than the user, but cost 50% more chakra than normal jutsu of the same rank. Description: The fire materia is a neon red color. This materia grants the user the power of fire. Description: The user does some motion (different for everyone) that involves pointing their hand(s) at their desired target. A ball of fire appears out of nowhere right in front of them and burns them. It leaves minor burns and dissipated as quickly as it appeared. Description: Fira is the second form of the fire spell. It causes a much larger ball of fire to appear out of nowhere in front of the target. This ball leaves second degree burns. Description: A large explosion of fire is created out of seemingly nowhere. This explosion has a 20 foot blast radius and will leave a large crater in the ground. Description: The ice materia is a deep neon teal color. This materia grants the user the power of ice. Description: The user does some motion (different for everyone) that involves pointing their hand(s) at their desired target. A ball of ice appears out of nowhere right in front of them and inflicts piercing damage them. Description: A large blizzard is created out of seemingly nowhere. This blizzard has a 20 foot blast radius and will cause large amounts of frost bite and stab them with tiny shards of ice. Description: The ice materia is a deep purple color. This materia grants the user the power of lightning. Description: The user does some motion (different for everyone) that involves pointing their hand(s) at their desired target. A bolt of lightning instantly crashes down on the target, causing light damage. Description: 3 bolts of lightning drop down on the target from out of nowhere. They can either be used to attack one target or three separate targets. Description: A thunderstorm is created over the surrounding area of 50 square feet. The user can cause anywhere from 1 to 7 bolts of lightning to drop from the sky at once, though each bolt costs chakra (only A-ranked chakra is used if 7 bolts come down at once. If any less, the amount of chakra decreases accordingly. Description: The ice materia is a bright white color. This materia grants the user the power of Wind. Description: The user does some motion (different for everyone) that involves pointing their hand(s) at their desired target. A gust of wind flies by, causing light slicing damage. Description: A larger gust of wind appears, causing several slash wounds. Description: A large gust of wind flies by, causing a large amount of deep lacerations to appear on anyone in the area other than the user. Description: The ice materia is a neon green color. This materia grants the user the power of Earth. Description: The user does some motion (different for everyone) that involves pointing their hand(s) at their desired target. Several small rocks will lift up and fly towards the target(s), pummeling them a bit. Description: A large rock about 3 square feet in diameter lifts up and flies towards the target. Description: A small earth quake appears in the area, shaking the ground and knocking over foes. From under the foe, the ground will open and a stream of rocks will shoot up and harm them. This is very versatile. Especially the enemy thing, Id say remove it. So? There techs you don't need the element for, and don't need to train. I don't like the idea that you can change out jutsus to replace ones you've learned in the Enemy Skills Materia equipment. I feel like, to make this fair, once you've learned the jutsu, that jutsu slot is filled permanently. This would make it where those who utilize this piece of equipment would have to choose wisely when it comes to picking and choosing which jutsu they would want to copy for themselves.